JAZ Products maintains their own equipment and molds, producing only the highest quality fuel cells. Their Econo Rail Fuel Cells are molded in a seamless cross-linked polyethylene outer shell for exceptional quality over the competition. These fuel cells offer a unique shape, pefect for fitting the Econo Rail's unique shape. 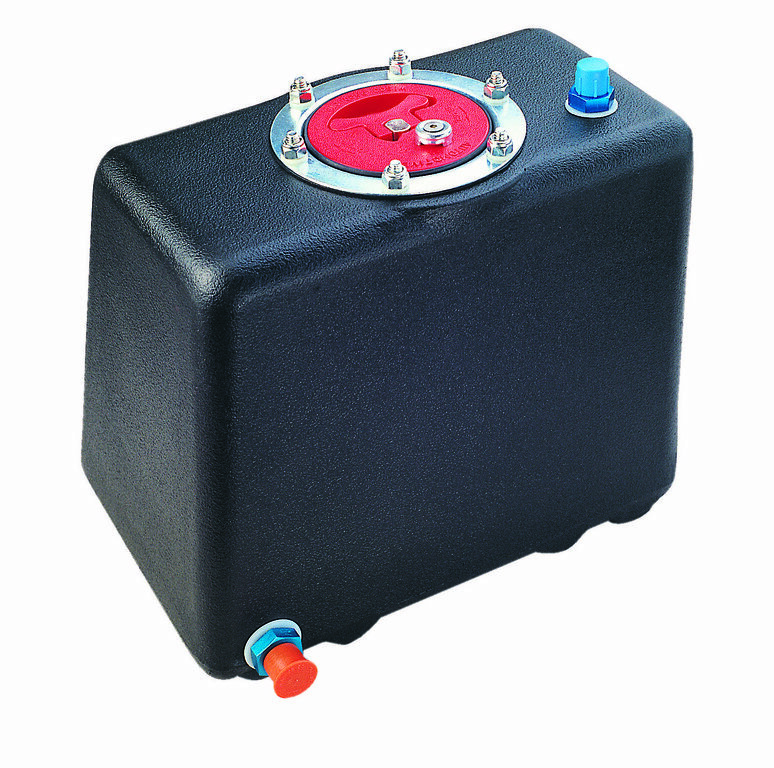 Each Econo Rail fuel cell features a choice of a flush mount aircraft-style cap assembly or low pro drag fill cap assembly, and in 3 or 4-gallon versions. Available with or without foam, JAZ only uses the best safety foam on the market, which has up to a 10x longer service lifespan than that of other non-fuel approved foams. All Econo Rail fuel cells exceed SFI 28.1 and are accepted by most sanctioning organizations.